A fun filled, exciting week is nearly ending. 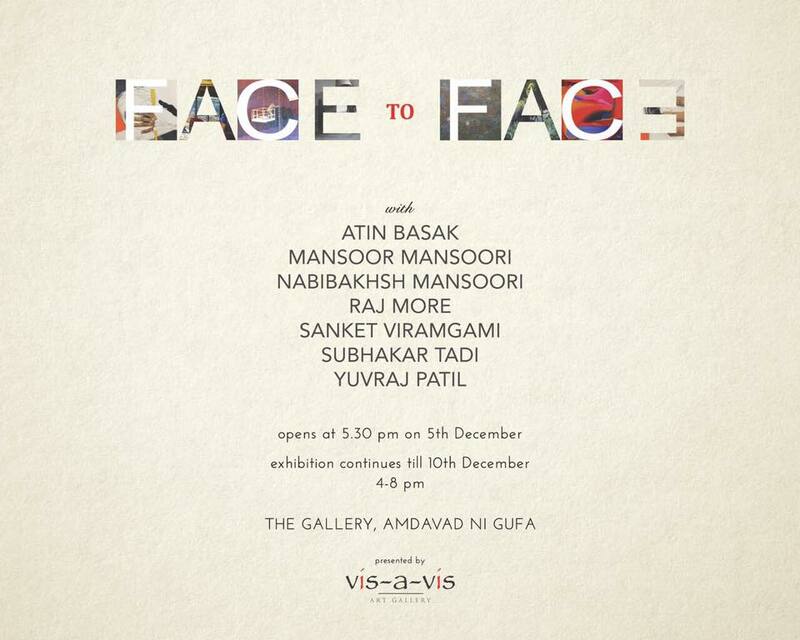 This is a reminder for our group exhibition "FACE TO FACE", which opened on 5th of December. 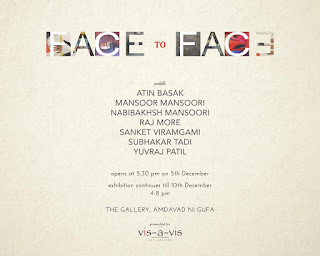 Today is the last day to see the works on display at THE GALLERY, AMDAVAD NI GUFA, 4 to 8 pm. Thank you for contributing to the Dr. Fischer Peace Collection project with your valuable art work. This project produced by the `Museum of Artists’ is the fourth in India. Art exhibitions from Israel and India began about 10 years ago in Delhi in a large exhibition titled "Dialogue". 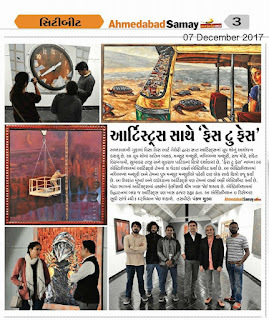 In the following trips, two theme exhibitions were presented at Vadodara and Ahmedabad in India. Last year one more project was introduced in the city of Jaipur, India. 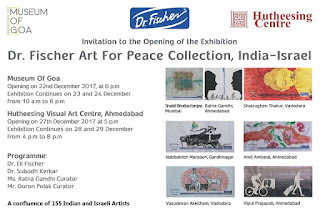 At the same time, artists from India exhibited at the Jaffa Museum and at the Shenkar Academy Art Gallery in Ramat Gan in Israel. This year we are coming together for the theme `Peace’. At the Museum of Goa from 22nd to 24th December 2017. 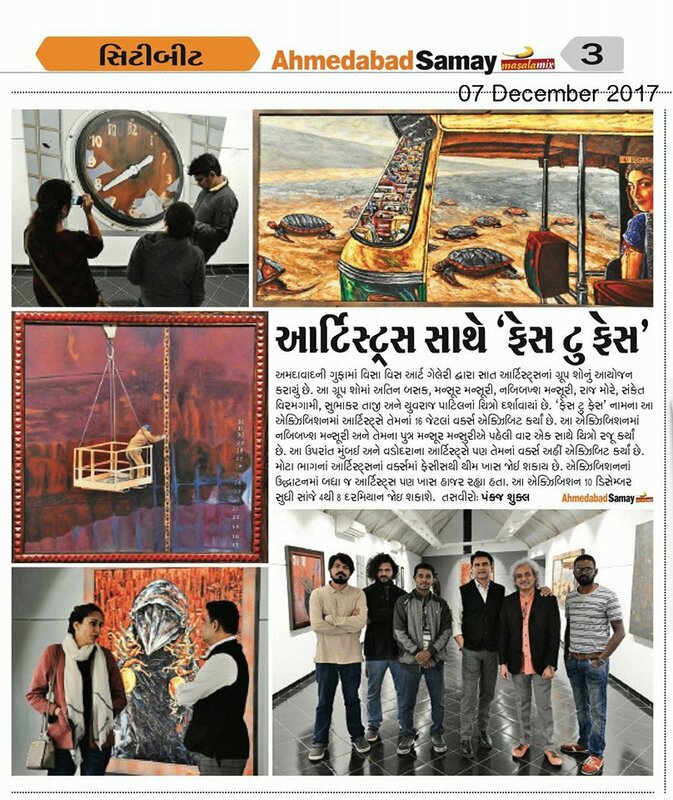 At the Hutheesing Visual art Centre, Ahmedabad from 27th to 29th December 2017. 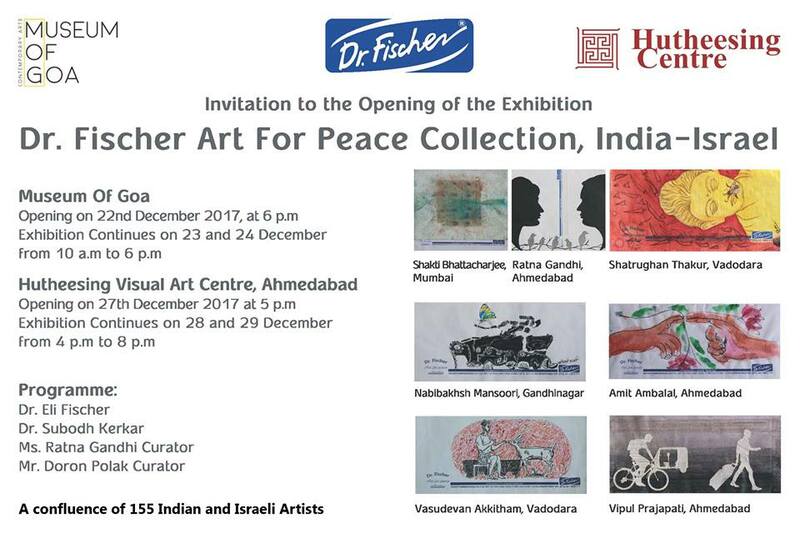 The opening events at both the galleries will be attended by a group of artists from Israel and India along with Dr. Eli Fischer and his family. We look forward to your esteemed presence in these exhibitions.